Chef Jedi - Spokane Valley Premier Vet :: Stop Barking and Growling at the door. Find a reward your pet really enjoys. This may be a favorite toy or treat. Have your dog sit calmly first. Ask someone to knock or ring the doorbell. If your dog remains calm they get the treat. If your dog reacts in an undesired manner, immediately interrupt the dog’s poor behavior (growling or barking) and redirect them to sit and be calm. You may entice them by showing them the toy or letting them smell the treat. 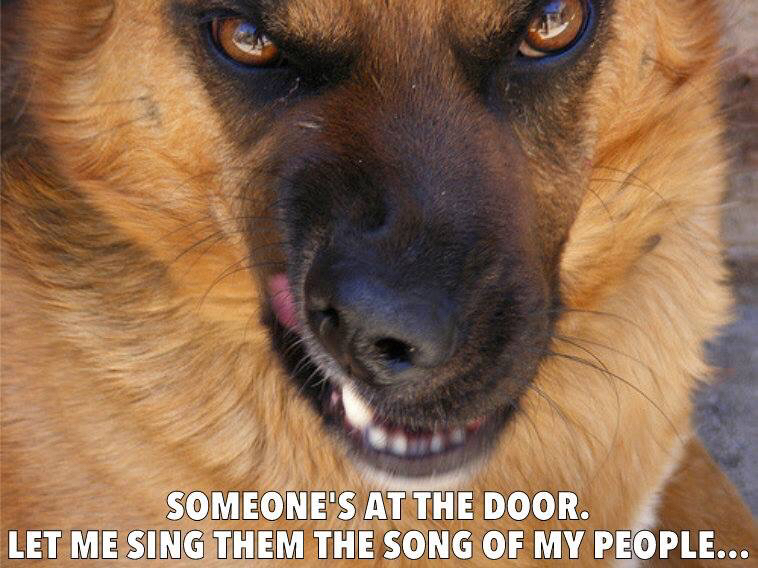 Repeat the process again until your pet associates the doorbell with a treat. At first, the reward should be given immediately when your dog has complied with your request. Gradually you can lengthen the amount of time between your command time and the reward given and eventually they no longer need the treat. Some behaviors require more intensive treatment and training. If you need further help call us at (509) 928-PETS (7387).